Company Anniversary Messages : Company anniversary day is a big day. It’s a day to celebrate your success and achievements. Its also a day for appreciating your colleagues, staffs, associates, bosses, CEO and even your customers for all the support and efforts they put into the company. Company anniversary messages are not very regular things on the internet. 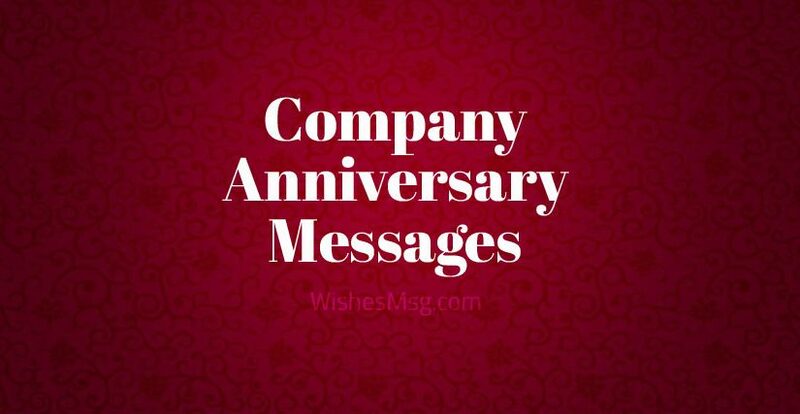 You may have to spend a good amount of your time searching for perfect company anniversary messages for your staffs, associates and customers. But if you are already familiar with our contents, you already know you are in the right place to start with. Here we have some extraordinary company anniversary messages for the big corporate day. Congratulations to you on this very big occasion. It has been a wonderful journey altogether. Let’s hope for the best in the coming years! You have taken us to a whole new height with all the successes in all these years. Let’s make this day a big one for each one of us! Your dedication and creativity can only be matched with an unquenchable thirst for success. On this special, I want to congratulate all of you for yet another great year! We started with a few but now we are many, not only in numbers but also in talents and creativity. Congratulations dears for all your efforts and accomplishments! It’s not a just a corporate anniversary, it’s an anniversary of a family that only grew strong defying the odds. Happy anniversary! Wishing you many more years of unparallel success and unrivaled corporate services. Congratulations on this special day. Happy anniversary! May this journey of corporate success continue in the coming years. Wish you and your excellent crews a happy anniversary! You are surely destined for the biggest corporate successes in history. A big congratulation goes to you on this special day! You all deserve a big round of applause for all your hard works and unconditional dedications. Congratulations to you for being a part of the journey! This company was blessed from its first day when you decided to be part of it. You deserve all the appreciations. Happy anniversary! You are the proudest and most valued employees because, without you guys, nothing would have been possible. Congratulations! Thank you all for not letting this company fail even for once. You have proved in all these years why you are the best in the field. Congratulations! When a company has staffs like you, success is no more a dream, it’s a sure thing to be achieved. Happy corporate anniversary! All these successes in all these years would not have been possible if this company didn’t have someone like you leading us from the front. Congratulations! If there is ever a corporate history written on this company, it will start with you and end with you. You are not just another amazing boss, you are THE BOSS! You have brought so many successes for this company that its impossible to look into the future without you. Congratulations to the greatest CEO ever! You made us laugh, you made us learn and you made us proud. It’s your contributions that made this company the giant today. Happy anniversary! We don’t need to look far to find inspiration. We have you in our midst and we all know no one can do it better than you. Congratulations! On this special even of our anniversary, we want you to know that you trust and support has always been the biggest drivers for our continued growth! You have always been an integral part of our journey. Without you, this journey would never have been so epic. Happy anniversary! Thank you for inspiring us in all these years. Your satisfaction is what motivate us to thrive continuously in the market. Congratulations! You have been the most supportive and inspiring customer base in the entire market. We are proud to have you with us on the journey. Happy anniversary! We do business to bring smiles on your face. Your satisfaction matters the most to us. We congratulate you for being with us in all these years! You are not just our partners, you are the assets that we value most. happy corporate anniversary. Thanks for being a part of us! Clients like you are our capitals for the future. You have been our greatest inspires and our biggest supporters in all these years. Congratulations! We would never have made it this far if we didn’t have associates like you. You are the prime examples of corporate excellency! Happy anniversary! 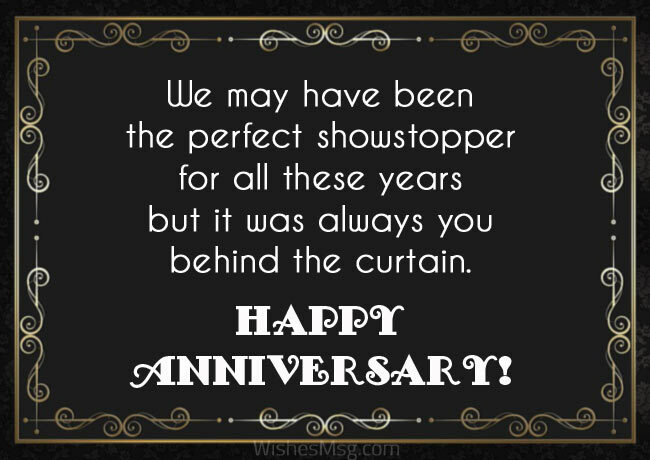 We may have been the perfect showstopper for all these years but it was always you behind the curtain. Happy corporate anniversary! On this special occasion, we wish you all the joy and smiles because you were always the greatest friends we had in all these years. Happy anniversary! 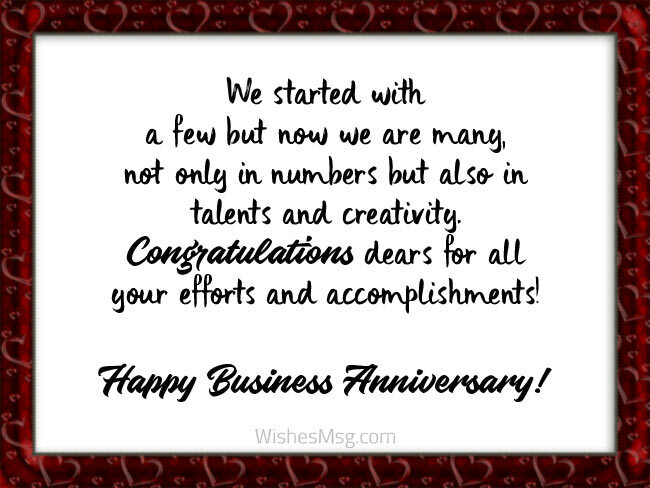 Be it a message of appreciation or a text to be printed on a company anniversary card, we have here all the types of company anniversary messages you can think of. So, save your time and take the best ones out of this list. Company anniversary day is a big occasion and everyone expects the best of the wishes. 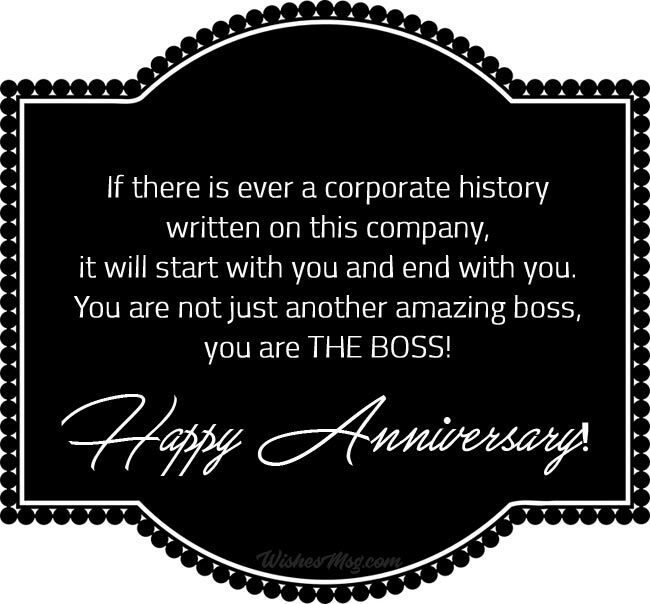 There’s no way these company anniversary messages can go without impressing them because we always bring the best of the bests for you!